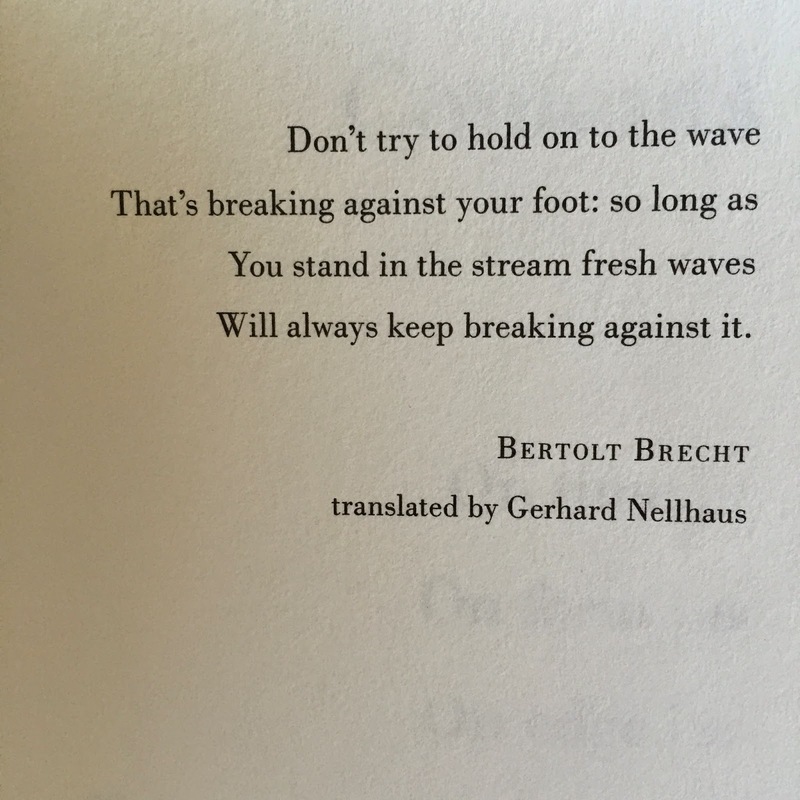 Not A Model: Weekly Mantra - Don't try to hold on to the wave..
Weekly Mantra - Don't try to hold on to the wave..
Last week I found myself a wee bit stressed. Stress is something that can easily be handled, or spiral out of control like a roll of toilet paper a toddler carries around the house. This week's mantra comes from the first page of a book I have, but haven't read, Ali Smith's Artful. I opened the page, and there it was, the answer I needed. The interesting message in this quote, is that as long as we are here, there will be always be something else that comes along, if we're open and willing to receive it. There will be another opportunity, another love, another bus to catch. We just have to give up trying to control the outcome, and let things be. Wise Words! Have a great week.